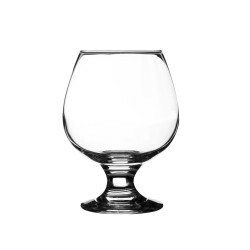 This glass is ideal to taste the best whiskies. This balloon-shaped glass is meant to taste whisky, cognac or brandy. It helps reveal aromas of spirits. Dimensions: 225 x 80 x 130mm.